Singapore’s Frasers Centre­point is pushing ahead with plans for a hotel real estate investment trust after picking up the Sofitel Sydney Wentworth for $202.7 million in a deal finalised over the weekend. The five-star hotel was sold by fund manager LaSalle Investment Management, which picked up the 436-room property for $130m four years earlier from Tourism Asset Holdings. The sale was brokered by Sam McVay of McVay Real Estate and Craig Collins of JLL’s Hotels & Hospitality Group. The premium price achieved is expected to be repeated in a number of other Sydney hotel deals, notably as US group Starwood brings its Sheraton on the Park property on Elizabeth Street to market for about $450m through JLL. Frasers Hospitality owns and operates hotels around the world and already has a local presence with a $252m portfolio, including the Fraser Suites Perth and Sydney and Fraser Place Melbourne, but the group is now buying other properties ahead of the float in Singapore. Frasers has been bidding for hotels across Asia as it attempts to find high-profile landmark properties to anchor the fund. Meriton Serviced Apartments (MSA) is Australia’s fastest-growing accommodation brand, with more than 3,200 rooms in 13 properties across Australia’s east coast. MSA has installed the ECOSYSTEM wireless occupancy based energy management system in 178 luxury apartments of up to 98m² each in their MSA Pitt Street property in the Sydney CBD, rated #1 by Trip Advisor. ECOSYSTEM is a part of the suite of energy retrofit solutions offered by Delaware start-up Efficiency Grid LLC. After showing over 60% reduction in apartment unit kWh usage during winter testing, Meriton Serviced Apartments has expanded its energy efficiency program by choosing ECOSYSTEM for its Pitt Street property. ECOSYSTEM was installed in over 178 suites with a full array of wireless occupancy and door sensors to better control the apartments’ HVAC equipment. About Meriton Serviced Apartments: In 10 years, Meriton Serviced Apartments has risen to become the largest Australian-owned accommodation owner-operator, delivering luxury accommodation with an emphasis on quality, spaciousness and style. MSA offers serviced apartment accommodation with stunning views and superb locations in Sydney, Brisbane and the Gold Coast. About Efficiency Grid: Efficiency Grid LLC is a Delaware based start-up addressing the $1 Billion hotel energy management market. Efficiency Grid provides end-to-end solutions that help commercial building owners and operators reduce HVAC and lighting energy usage. Their goal is to develop a large network of “Virtual Power Plants” using inventory focused in hotel buildings. This includes what they have dubbed “energy middleware” which includes hardware and software solutions that enable building operators, utilities and financing partners to successfully implement energy retrofit projects. Travel agents worldwide can now confidently access the luxury holiday house/villa market as an alternative option to hotels and resorts, thanks to the ingenuity of a Kiwi entrepreneur. Fear of bogus properties, insecure funds and variable standards of accommodation have always kept the high-end private home rental sector firmly in the too-hard-and-scary basket for travel agents to book for their clients. But the launch of a new technology product by Wellington-based Campbell Bevan at the International Luxury Travel Market in Cannes has brought about a radical change in the holiday accommodation landscape. A guest of Tourism New Zealand at the prestigious annual event in France, Amazing Accom managing director Mr Bevan introduced travel agents to a white label online booking and itinerary-building software. “The first of its kind in the world, the technology will enable agents to book holiday houses/villas for their clients in a safe and standardised online environment,” said Mr Bevan whose company Amazing Accom specialises in luxury house/villa accommodation. “They can be confident their clients’ funds are 100 percent secure, and cancellation policies and changes to bookings are transparent and fair to all parties . . . as well as guaranteeing the agents a healthy commission. “Amazing Accom holiday houses and villas are hand-selected and reviewed, and therefore guaranteed to be of the highest standard. They are professionally managed and fully serviced just like a hotel,” said Mr Bevan. The term “white label” means when a travel agent uses the secure booking site, there is no reference to Amazing Accom branding. The property names and URL are blank allowing the agent to apply his or her own branding. The client cannot bypass the agent and go directly to Amazing Accom or the property owner. There is therefore no risk to the travel agent of losing his or her client. Amazing Accom holds the client’s funds securely until the day after check-in and also offers round-the-clock free, independent, expert advice in case problems should arise. One of four Kiwi tourism companies that travelled to the four-day Cannes event at the invitation of Tourism New Zealand, Amazing Accom was in high demand with the international luxury travel buyers. “Travel agents from around the world – Russia, China, India, the United Kingdom, Germany, Australia, Canada and the United States – have already signed up and are now accessing 2000-plus luxury houses and villas in 21 different countries for their high-end clients,” said Mr Bevan. “Given a choice, why would discerning travellers book hotel rooms and share facilities with thousands of others when they can have an entire fabulous house or villa to themselves with a private swimming pool, tennis court, beach, chef, housemaids and other amazing facilities for a cheaper per-person, per-night rate,” said Mr Bevan. “We want travel agents to be aware of the tremendous potential of this new technology. This is a game-changer. So what’s in it for Amazing Accom and the owners and property managers of accommodation who list online with the company? “Our properties get significantly more bookings worldwide, and we increase the total holiday house/villa market – something we are passionate about,” said Mr Bevan. Far East Hospitality Holdings, a premier hospitality assets owner and operator, is a 70-30 joint venture formed in 2013 between Far East Orchard Limited (a listed company under Far East Organization) and The Straits Trading Company Limited. In the same year of its formation, Far East Hospitality through its wholly-owned subsidiary Far East Hospitality Investments (Australia) Pte Ltd, completed a 50-50 joint venture with Australia’s Toga Group. With the joint ventures, Far East Hospitality has established itself as a regional hospitality owner and operator with a sizable overseas network. It now has a combined portfolio of more than 13,000 rooms under management across more than 80 hotels and serviced residences in eight countries – Australia, China, Denmark, Germany, Hungary, Malaysia, New Zealand and Singapore. Far East Hospitality’s stable of nine unique and complementary brands – “Quincy”, “Oasia”, “Village”, “Rendezvous”, “Adina”, “Medina”, “Vibe”, “Travelodge” and “Marque” – present excellent opportunities for cross-selling initiatives across the different brands and geographic markets, offering guests with a greater diversity of choices and locations. Results of an industry-wide survey on holiday rental homes reveal an industry worth over $100m a year to local economies in the form of rates, maintenance and renovations. The survey, conducted at the end of last year by Bookabach, Holiday Houses and Bachcare, aimed to create a body of data that could be used to assist local councils make decisions around tourism and visitor accommodation. Bookabach general manager Peter Miles explains, “MANZ (the Motel Association of New Zealand) have been actively lobbying district councils around the country to place restrictions on the holiday rental industry. Bookabach, Holiday Houses and Bachcare collectively list approximately 90% of the NZ holiday rental market, an estimated 10,000 actively rented properties. “We also wanted to be able to directly address some of the criticisms raised by Councils and MANZ related to health and safety,” says Miles. The results were finalised just as Thames Coromandel District Council were accepting submissions on their proposed District Plan, which includes revisions that would place greater restrictions on holiday rentals. The group says that the proposed restrictions would make holiday rentals less affordable and they’ve made a joint submission to Council including results of the survey. The survey attracted over 2,000 responses from holiday rental owners, 85% with free-standing baches and holiday homes (85%). The remaining 15% was made up of apartments, flats/duplexes and townhouses. The typical holiday rental is occupied for 25 nights a year by their owners and family members, and rented out an average of 60 nights a year. Owners received between $4,000 and $16,000 a year in rental with an average of $12,513. When asked about how important this income was to them, 73% of respondents agreed (56% strongly) that without holiday rental income they could not afford to keep or maintain a bach. 79% agreed (61% strongly) that without it they could not afford to renovate or improve their properties. The group point out that the money spent on maintenance, improvements and rates goes back into the local community – and this amounts to over $100m per year. According to the survey, holiday rental owners on average spend $2,500 a year on rates; $3,113 a year on maintenance; and have spent $30,587 in the past 5 years on improvements and renovations. “Holiday rental maintains and improves the housing stock in many remote regions – and supports local trades people,” explains Bachcare founder and general manager Leslie Preston. “In addition to this there is the direct benefit of the domestic tourism spend – which we haven’t attempted to quantify in this survey”. The survey also examined current compliance levels in fire, health and safety regulations. Preston explains that one of the ‘level playing field’ arguments put forward by MANZ is that baches and holiday homes do not have to meet the fire, health and safety requirements that motels do. Preston says, “This is simply nonsense since houses are houses not motels. A holiday home needs to meet the standards as they relate to a house.” 90% of respondents said their properties had smoke detectors within 3 metres of entrances to sleeping areas – which was the current building requirement. The group concludes that while the Kiwi dream of owning a piece of paradise is alive and well, it is at risk from over-regulation. Holiday rentals are valuable to local economies. Unless renting out a holiday house remains an economically viable option, fewer Kiwis will be able to support owning a bach – and be forced to sell. The group says this would put downward pressure on house prices in an already depressed market with less demand if new purchases are unable to rent. 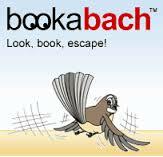 The survey was sent to the holiday rental owners listed on Bookabach and Trade Me’s Holiday Houses and managed by Bachcare and received 2,047 responses. owned in a family trust. pump or central heating and insulation. – Holiday rentals had an incident rate of 0.015% incidents a night. There were 126 recorded accidents or incidents reported by guests staying in properties over the past 5 years out of a total of approx 850,000 nights stay. – 75% of owners agreed (55% strongly) that they saw themselves as part of the wider tourism industry. – 69% of respondents were not familiar with the work performed by their Regional Tourism Organisation (RTO). – 73% didn’t feel they benefited from the work of their local RTO. owners of non-holiday rental properties. – 82% agreed (67% strongly) that if they had to go through a formal resource consent process they would re-think renting out their holiday home. 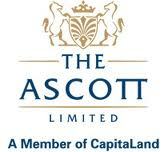 The Ascott Limited has launched its second Citadines Apart’hotel in Australia. The new Citadines St Georges Terrace Perth has opened following an AUD$5.1 million and five-month refurbishment of the former Somerset St Georges Terrace Perth. Located in the centre of the vibrant city of Perth, Citadines St Georges Terrace is the perfect home-base from which to experience modern city living in Australia. Upon entering the main lobby, guests experience a welcoming oasis of calm. A collection of contemporary art pieces by local artists Nick Statham and Kyle Hughes-Odgers express the energy and verve that Perth has to offer and are featured in the lobby and apartments. Inspired by Perth’s skyline and bustling nightlife, the designers used a dark grey base with pops of crimson or yellow to bring the perfect marriage of calmness and contemporary chic into the property’s 85 studio and one-bedroom apartments. Citadines is located in the heart of Perth’s Business District, the perfect position for doing business in the city. Its prime location is within walking distance to art galleries, restaurants, bars, department stores and many quality boutiques at Murray Street and Hay Street Malls. To complete the picture perfect setting, the property is just a street away from the Esplanade that overlooks the Swan River. Citadines St Georges Terrace Perth is the second Citadines-branded property in Australia after the award-winning Citadines on Bourke Melbourne which opened in 2010. Ascott acquired the established Citadines chain of Apart’hotels in Europe in 2002 and brought the brand to Asia-Pacific in 2006. With the launch of Citadines St Georges Terrace Perth, there are 61 Citadines-branded properties in key cities around the world. In the next few years, Ascott is scheduled to open 17 more Citadines properties in China, India, Indonesia, Malaysia, the Philippines, Thailand, Saudi Arabia and Germany. Besides Citadines St Georges Terrace Perth, Ascott operates Citadines on Bourke and Somerset on Elizabeth Melbourne and Somerset on the Pier and Somerset on Salamanca in Hobart, in Australia. HomeAway has acquired Stayz, an Australia-based vacation rental service and market leader in the region, for approximately $198 million in an all-cash transaction, the company is announcing today. The move includes Stayz Groupsites Stayz.com.au, Rentahome.com.au, TakeABreak.com.au, and YesBookIt, and brings an additional 33,000 Australian vacation rental properties to HomeAway. HomeAway bought the Stayz Group from Fairfax Digital, a division of Fairfax Media Limited, owner of The Age and The Sydney Morning Herald, which itself purchased the company in 2005 for $12.7 million. Stayz had generated AU$25.4 million in revenue in its last fiscal year 2013 (ended in June 2013), the majority of which is generated through its commission-based business model, HomeAway notes. Stayz’ traffic also outsizes their next largest competitor by almost 8-to-1, making it the leader in the region. The company’s 40-person team will now continue to operate out of its HQ in Sydney, and will be managed by Anton Stanish, General Manager for Stayz. Its inventory will become integrated into HomeAway’s pay-per-booking inventory in the U.S. and Europe, to generate additional traffic. According to HomeAway CEO Brian Sharples, the deal in this case was not only for the 33,000 properties themselves, but also to provide further momentum for his company’s newly-launched pay-per-booking business – “something Stayz has worked over the years to optimize,” he noted in a statement about the deal. For HomeAway, Stayz was an attractive service because it has been around since 2001, and has well-established procedures in place. This is not HomeAway’s first acquisition in the region, but rather comes nearly a month after it acquired a majority stake (55%) in a nearby competitor, Bookabach, based in New Zealand and the company made a minority investment in China-based vacation rental company, Tujia.com. HomeAway’s growth-through-acquisitions strategy comes at a time when other competitors have been shifting their international focus – for instance, while Airbnb created a new hub for global operations in Berlin this year, it has also purposefully tried to slow down from what could have been otherwise too-rapid expansion. But as Airbnb dialed down its overseas hiring and growth over the past year, others like HomeAway have stepped in to snap up the smaller competitors, like HomeAway has now done with Stayz. HomeAway itself has had a presence in the Australian region since 2011, following its purchase of the the vacation rental business from REA Group Limited, and subsequent launch of HomeAway.com.au. Holiday rental website Stayz.com.au has kicked off a new Summer campaign focusing on the idea that ‘life’s too short’ to inspire Australians to be “proactive” with their holiday choices. Three 15-second pre-roll ads spearhead the campaign which also includes display advertising and Facebook activity. Wotif’s profit has fallen 12% to $51 million. Primary factors for the poor performance, which had been flagged in June, include flat turnover and revenue, $9.1 million in extra costs, continued revenue declines in Asia and rest of the world combined with a “problematic” Australian domestic market. The only bright spot for the Online Travel Agent was the growth in its airfare sales with flight booking revenue increasing 11% to $15 million. It’s been a tough initiation for CEO Scott Blume, who started with Wotif in January. “It has been a challenging year for the Group,” he said. “Some positive momentum has been achieved, with accommodation revenue increases and the growth of the flights business. “The flights business has been the standout performer for the Group and we are optimistic that this trend will continue into FY14. “However, these revenue gains have been offset by a continued deterioration in Asia and ROWbusiness volumes, which are being addressed separately as part of the previously announced strategy projects. “In a period of flat TTV and revenue growth our costs grew by $9.1 million year-on-year, including one-off write-offs of $2.3 million. Mr Blume did not make any forecasts in his announcement but said: “We are working very hard on implementing the outcomes of the strategies released to the market in June 2013. “Whilst it will take some time to see the effects of this work flow though to TTV and revenue growth, we have solid plans in place and work has already commenced on a number of key initiatives. “We also have a number of key projects underway around packaging, mobile and customer reviews as well as the previously announced commission increase to 12% to be implemented progressively from January 2014. 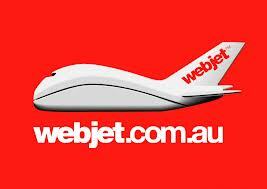 Webjet’s profit collapsed -52.4% to $6.5m in the year to June 30. The acquisition of Zuji earlier this year did most of the damage – $7m to be accurate: $5.4m in “acquisition and transition costs” plus another $1.6m in trading losses. The launch of Lots of Hotels in Dubai was also expensive with costs running to $2.3m. Managing Director John Guscic said all these costs had been expected, though they had not previously been flagged. Apart from a line in the financials, there was no mention of the profit drop in Webjet’s ASX statement, which was headlined “Continued Growth in Core Earnings”. It promoted a “normalised profit after tax” of $14.4m, up 5.6% over last year, and higher margins. He said Zuji was profitable in July and that “we expect” Lots of Hotels to start making money this financial quarter. But there’s still a way to go with Zuji. The migration of Zuji’s Australian business onto the Webjet platform is done but the integration of the Hong Kong and Singapore systems will not be complete until December. Quest Serviced Apartments opened its $30 million Quest Mackay on Gordon this week, motivated by thriving business conditions in regional North Queensland. “Mackay is well-known for its buoyant economy and reputation as a great place to do business,” says Quest chairman and chief executive officer Paul Constantinou. “The vibrant and thriving region is a service centre for Queensland’s rich resource basins, and home to growing numbers of innovative and prosperous business,” says Constantinou. Located at 27 Gordon Street, Quest Mackay on Gordon will feature 115 studio, one- and two-bedroom serviced apartments, fully equipped with kitchen and laundry facilities. Guests will also have access to meeting and conference facilities, as well as a recreational deck with a pool, spa and gym. Quest Mackay on Gordon is a joint venture between current franchisees of Quest Mackay, Russell and Elise Spurrell, and Mackay locals, Rob and Corinna Cotter. “Mackay is recognised nationally as a growth hotspot and demand for quality accommodation is increasing,” says Spurrell. “Having the second property in Mackay, we will now be able to offer a total accommodation solution to our existing clients and help alleviate the shortage of quality business accommodation in the area,” says Spurrell. “Mackay’s position as the centre of business growth in regional Queensland made it an obvious decision to open a second Quest property here,” says Constantinou. Quest Serviced Apartments has more than 150 properties in Australia, New Zealand and Fiji.